We explain the steps that house buyers should take when buying a property that may be affected by Japanese Knotweed. The results of the world’s largest field trial on the control of Japanese knotweed, which was conducted in Wales, have recently been published. Researchers from Swansea University have found that eradicating the plant is not possible. 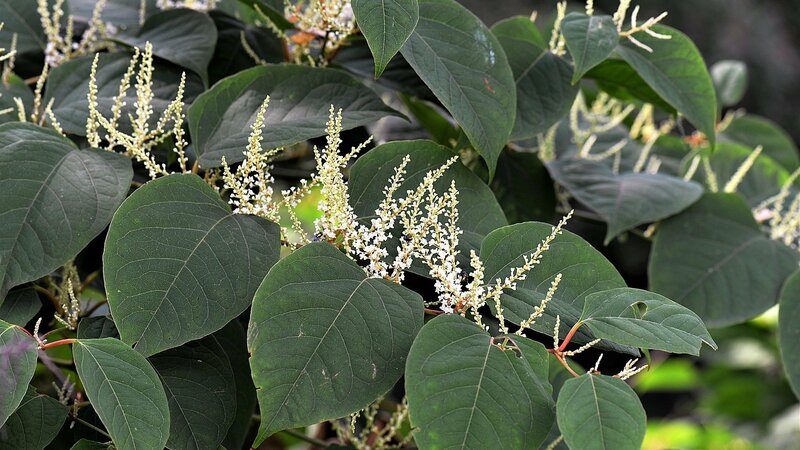 Japanese Knotweed is a huge problem for home owners and those that are hoping to buy a home where this invasive species exists. It can cause physical damage to buildings and land, thereby affecting the value of the property together with impacting on its marketability and insurability. Japanese knotweed is the most invasive plant in the UK and spreads rapidly by its roots and stems. It has been noted that it can grow up to 10cm a day between the months of April and October. If even a small piece of root or stem is left in the ground, it is enough to re-infest the land. The roots can penetrate foundations, concrete and walls which can cause considerable damage. Based on the research it cannot be eradicated, and it can be time-consuming and expensive to manage and treat. Therefore, potential buyers and lenders can be understandably deterred from proceeding in transactions where Japanese knotweed is discovered on the land. What do I need legal help with? As property lawyers we must ensure that we have made all the relevant enquiries and have carried out our due diligence in respect of determining the presence of Japanese Knotweed. In most instances (save for a few exceptions) the principal of Caveat Emptor (let the buyer be aware) applies in the purchase of a property. Therefore, the seller is not under a duty to disclose any information about the physical state of the property, which places the onus on the buyers and their legal representation, as a part of their in pre-contract enquiries to discover the existence of the plant. The Law Society Transaction Form TA6: Property Information Form asks the seller whether the plant exists as a standard and if so, is there a management plan in place to control it. The answers available are ‘yes’ or ‘no’. The seller, by answering this, is implying he has made reasonable checks. It would be wise for any seller (if such checks had not been made) to answer ‘unknown’. It is therefore a sensible precaution, when purchasing a property, to commission a physical survey of the property. Lenders will expect the presence of knotweed be noted on a valuation report. The lender will then consider a number of factors such as the level of severity and the plan in place to treat the plant. This will often by a condition of the lending. There has been reluctance to lend from some mortgage lenders because of the difficulty in treating the plant. Generally, building insurance polices do not cover damage caused by Japanese Knotweed. A specialist company will need to be instructed to manage and treat the plant where it exists, and that can result in a programme of works that may lasts a few years. If you are buying or selling a property that you fear may be subject to this invasive plant, we suggest you take legal and environmental specialist advice as soon as possible. This article is for general information purposes only and does not constitute legal or professional advice. For more information contact us on 0300 1240 400, email info@watkinsandgunn.co.uk or speak to us through our LiveChat facility.